From funny to fashionable, quirky to quaint, Hallmark has the cards that help your customers say what they need to say. In fact, just seeing the Hallmark name lets them know they’ve come to the right place, because when it comes to greeting cards, it’s what’s on the back that counts, too. Hallmark brought home 17 Louie Awards this year at the International Greeting Card Awards Competition. From funny to heartfelt, the very best assortment of designs for every occasion and relationship. 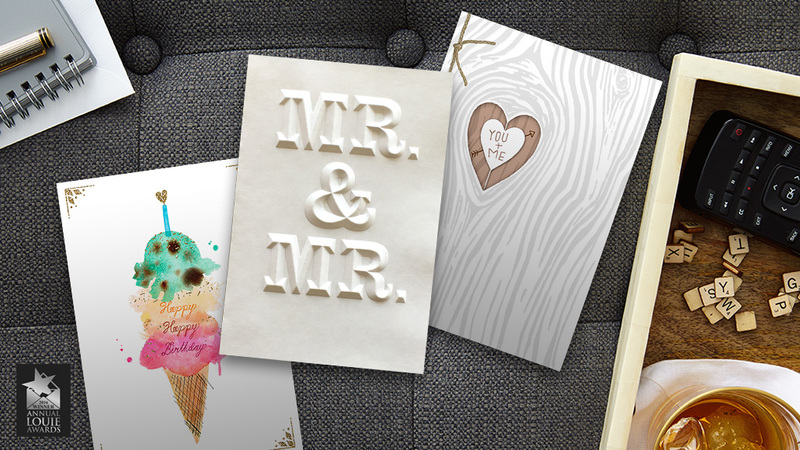 These premium greeting cards let consumers say it with style. Laugh-out-loud funny cards will keep your consumers coming back for more. Our artist-curated collections provide a perfect "in the now" way for younger consumers to connect. Spanish-language cards that help Latinos connect meaningfully and authentically. Celebrate the best of Black culture with authentic expressions and rich imagery. Cards that make it easy to make someone’s day with an unexpected (appreciated) surprise. © 2016 Hallmark Licensing, LLC.